Worksheet on same base and same parallels will help us to practice the different types of questions on area proportions. 1. Parallelogram PQRS and rectangle PQUT are on the same base PQ and between the same parallels PQ and TR. Also, the area of the parallelogram is 63 cm^2 and the width of the rectangle is 9 cm. Find the length of the rectangle and its area. 2. 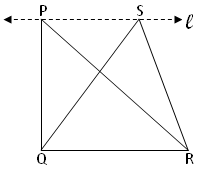 In the adjoining figure, ∆PQR is right angled at Q in which QR = 6 cm and PQ = 7 cm. Find the area of ∆QSR; given that PS∥QR. 3. 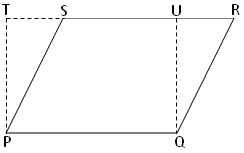 Parallelogram PQRS and PQTU are on the same base PQ and between same parallels PQ and UR. 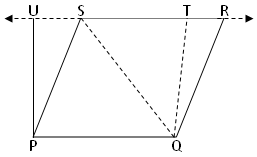 Area of parallelogram PQRS = 56 cm^2 and the altitude of the parallelogram PQTU = 7 cm. Find the length of the common side of two parallelograms. 4. 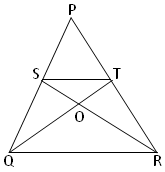 Parallelogram PQRS, ∆PQS, and rectangle PQTU have the same base PQ. If the area of ∆PSQ = 48 cm^2, then find the area of parallelogram PQRS and the area of rectangle PQTU. 7. 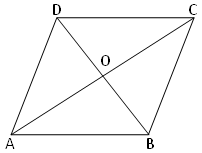 The diagonal of the quadrilateral ABCD, (DB, AC) intersect at O. If OB = OD, then show that ∆ABC and ∆ADC have same areas. 8. 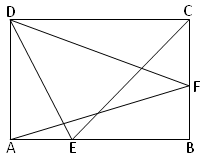 In the parallelogram ABCD, E, F are any two points on sides AB and BC respectively. Show that ∆DFA and ∆DEC have same areas. 9. ∆PQR is isosceles triangle with ST//QR. The medians SR and QT intersect each other at O. Answers for the worksheet on same base and same parallels are given below to check the exact answer.